This program was discontinued as of June 2016. Please see the CUE Teen Collective page for more opportunities for high school students. 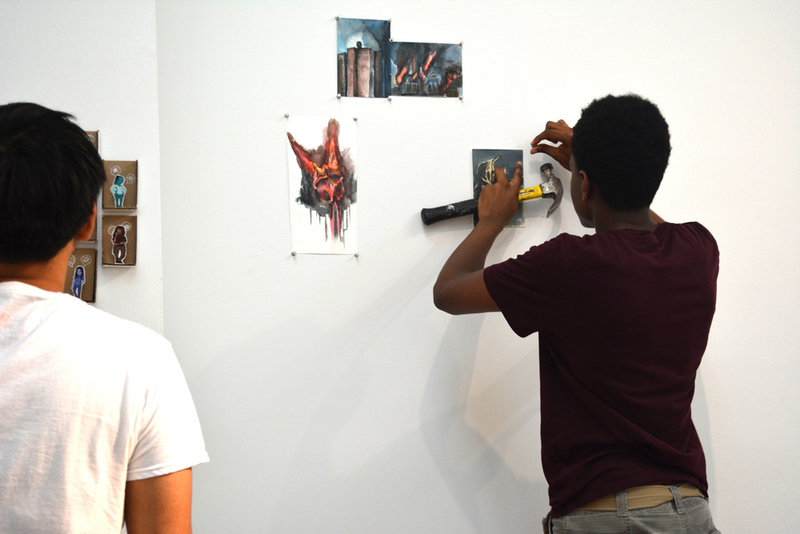 jumpstART was a year-long, studio-based intensive for high school students with a demonstrated interest in and aptitude for the visual arts. 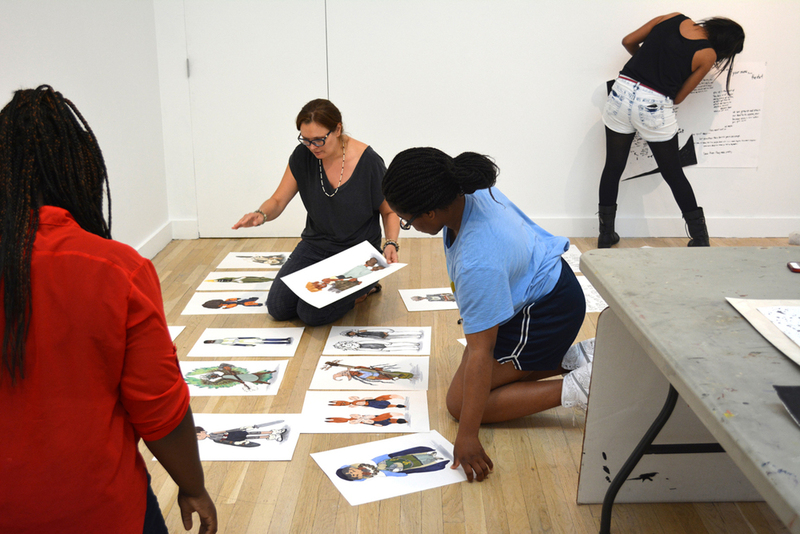 From 2008-2016, the program was a joint initiative with the Joan Mitchell Foundation that provided arts education and professional development training to participants, and guided them through the process of conceptualizing, organizing, promoting, and curating their own group exhibition. 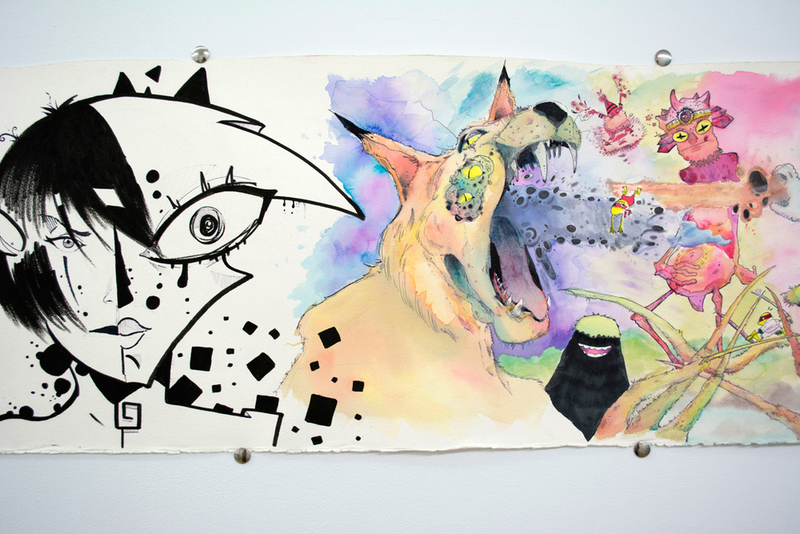 Through the exhibition planning process, students were exposed to a broad range of creative careers as they worked with graphic designers, art handlers, curators, administrators, and professional artists. This process encouraged the development of each student’s time management and communication skills, and students graduated from the program not only with a portfolio of artwork, but with writing and design samples, and a resume of skills that included public speaking, social media marketing, budgeting, graphic design, and photography. jumpstART participants explored a wide variety of media throughout the program, which included life drawing, hand-drawn animation, photography, object making, and textile design. Students were encouraged to work collaboratively, and regularly conduct short demonstrations for their fellow classmates as they developed new and unique skills. "Studio Normal to Nature is both our name and also a way of putting our individual art works to use together. The Studio defines a work space, as well as our intent to respect each other and our differences of opinion as we work together to take and distort the RIGHT photo. We find a balance in our kind of professionalism. Collaboration gives us the advantage of faster project completion and covering more project ground, and creating deeper bonding through teamwork and understanding of each other's intentions. We all took different roles for every photo, making props, posing, and also working very individually at times. Normal to Nature is our theme. Meanings behind this theme include what is considered “normal” in this society versus the unveiling of the eccentric characteristics of human nature; what is considered normal to us, city folk of modern times, versus the strangeness or mysteries in nature or ancient times; and reality versus imagination. This phrase “normal to nature,” especially the word “nature,” is very deep with these meanings. The subject of our photo is not required to look directly into the camera, unless we want to bring more focus from the viewer into the portrait. Poses affect the content of a portrait because the body language of the subject could portray certain types of emotions, allowing a much more complex story to be told within the photograph. Blank or simple space within the portrait is important and makes it easier to create a unique character from a simple portrait. Digital photography is useful for making our portraits because it is average and simple but lends itself to creative approaches. With digital photography, we can take and print as many pictures as we want, and then collaborate to make an interesting piece. Distorting the image is a process of improving the image, for instance, adding objects over it, or adding bright colors to make the image pop and stand out. Another choice is to ask, what will be the message of my portrait after manipulating and distoring the image?"